I make it no secret that I love tea lattes – whether it’s a Chai or London Fog, I’m probably a fan of it! For those who are vegan or vegetarian and abstain from using dairy products, making a tea latte at home can be a difficult process – it’s just so hard to get a good amount of foam. I, for one, think that you deserve to have some thick foamy goodness in your cup! 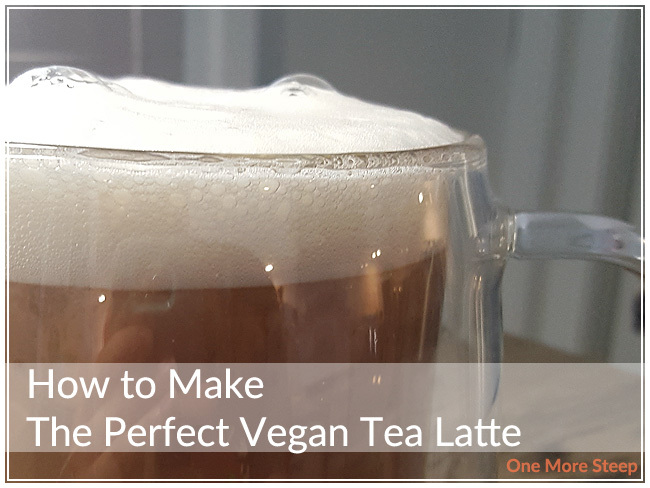 For my trick on how to make a picture perfect vegan tea latte, I used a little something called aquafaba – a word I first heard from Chelsea of Vegcouver (and when she explained it to me, I thought she was nuts!). For those who aren’t familiar, aquafaba is the ‘water’ that comes in canned beans. Apparently that stuff I’ve been pouring down the drain all of these years is super useful (who knew??). 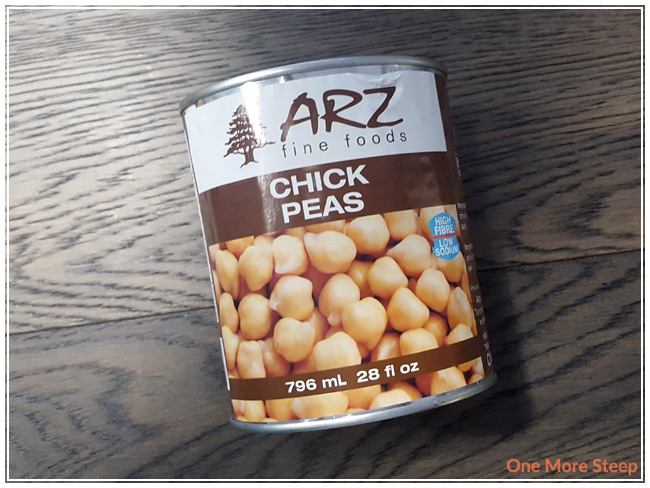 I use the water that comes from canned chickpeas – it has a light colour and a mild flavour. From a 28fl oz can of chickpeas, I get just under 12oz of aquafaba (almost 350ml or 1½ cups). But how do I go from bean water to a tea latte? Continue reading, tea friend! Steep your tea as you would normally for a tea latte and you can choose to add in the dairy-free milk of your choice at this point (or not). I find a lot of dairy-free milk alternative products just do not foam well with my at-home mason jar tea latte method that I’m so fond of. I tried it with almond milk, cashew milk, and soy milk – and they were all pretty terrible at foaming up. I’ve read online that dairy-free milks can sometimes foam up nicely with an electric milk frother, but I’m really trying to cut down on single-use kitchen appliances/gadgets (who has the counter space?!). 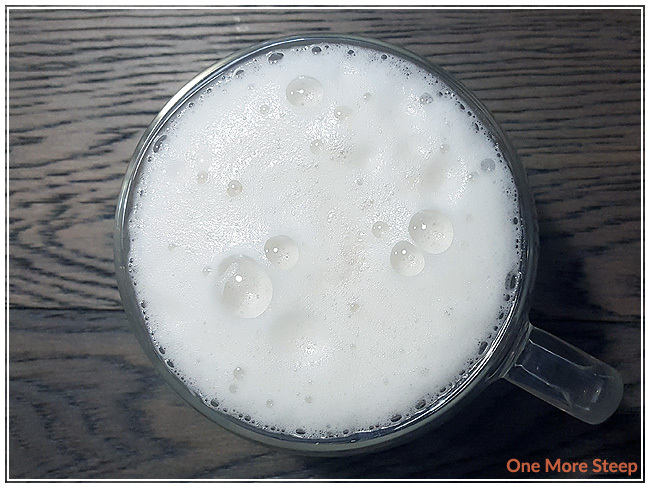 If you’re in the same boat as me and still want to make gorgeous tea lattes at home with a generous amount of foam, this tutorial is for you. So after your tea is steeped and you’ve already added in your preferred dairy-free milk, here comes the fun part! 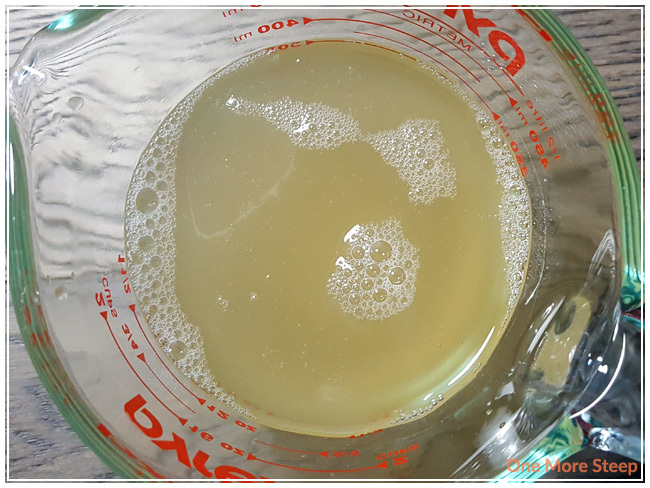 Using a glass jar, pour in 3-4 fl oz of aquafaba (around 100ml). If you didn’t already add your milk to your tea, add equal parts dairy-free milk and aquafaba together in the jar (I tried 50-60ml of each and it worked a treat). Add sugar to taste (I use 2tsp of white sugar). Put the lid on, and shake! Shake, shake, shake! The aquafaba turns from a yellow liquid to a white foam. Pour foam on top of your tea and you’re ready to go! I find that aquafaba doesn’t add a bean-y flavour or smell to my tea lattes. It doesn’t make your tea latte taste like chickpeas (thank goodness!) and the foam actually lasts a lot longer than cow’s milk frothed up in the same method. It doesn’t matter if you frothed up aquafaba or aquafaba and milk, it doesn’t smell or taste like chickpeas at all! The sugar helps sweeten the foam and makes it taste quite delicious. If you’re making a London Fog, you can substitute the sugar for Lavender Simple Syrup and then all of the foam has a delicate lavender flavour and aroma – yum! For the rest of that aquafaba, you could make vegan pavlova or use it as an egg alternative in your favourite baking recipe (3 tablespoons of aquafaba ≅ 1 whole egg and 2 tablespoons ≅ 1 egg white!). Chelsea considers it to be a vegan pantry essential, and with the uptick of plant eaters out there, it’s nice to have it on hand so your vegan and vegetarian friends can also have a fancy drink! I’ve used aquafaba for baking before but ever would have thought to use it for a tea latte…interesting!!! I’ll definitely have to test this out eventually. And I agree, I find most non-dairy milks are difficult to froth, but sometimes my handheld frother does a good job. I borrowed a friend’s frother to test it out, and I couldn’t get almond milk or soy milk to froth for the life of me, hahaha. But… a little bit of aquafaba goes a long way and makes better foam that milk does when I use the jar method!